Tender Care Boats offers a detailing service which is the finest available anywhere in the marine industry. By using our 40 plus years of detailing expertise, and our very own custom blended detailing products, we will make the transformation of your tender a shining success. We remove mold, mildew, stains, rust, re-condition tubes, polish and seal all metal, polish and protect all fiberglass surfaces. What does this do for you? It brings back new life to your tender, that you never thought was possible. We have chemical compounds and cleaning products not found in retail stores. We use just the right mix to restore and maintain your vessel with a fresh, new look every time. Water and sun are extremely harsh elements on all boats. We remove, dirt, grime, oxidation, mold and rust to make your tender look like new again. Tender Care Boat's exclusive line of detailing products can be purchased at our showroom or online in our Parts Store. 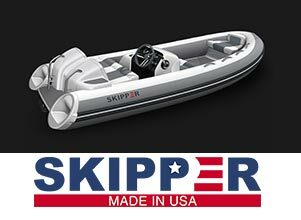 Visit our parts department on line to order products or parts for your inflatable boats.